Air Jordan 11 “Columbia” has been confirmed for release this year and it is expected to make waves. Another edition of the Air Jordan 11 recently surfaced, which is also expected to impress once it hit the market. 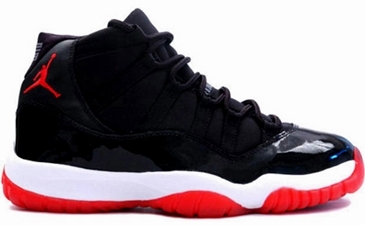 According to reports, Jordan Brand will be releasing the Air Jordan 11 “Bred” edition later this year. This silhouette, which is the Black/True Red-White colorway of the shoe, was last released in 2008 as part of the Air Jordan Countdown Package that year. This edition of the Air Jordan 11 features a black mesh and patent leather on the upper part that sits on a white midsole and red outsole. Release date is believed to be on December. We will keep you updated!